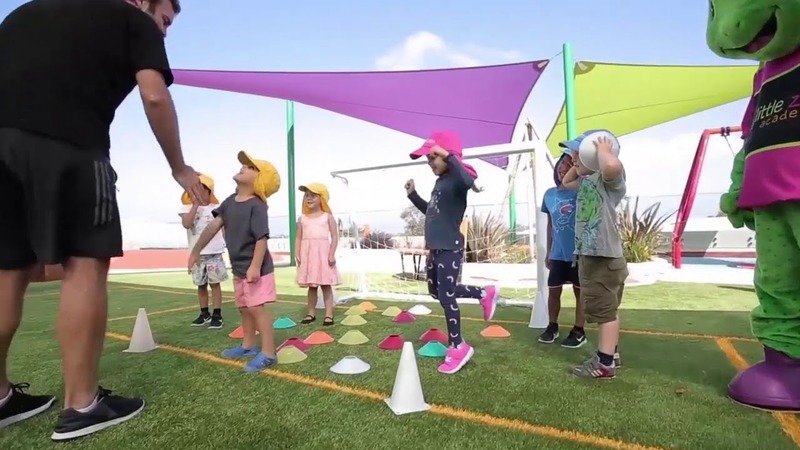 Little Zak’s Academy has carefully designed a soccer program called Zakaroos that enables children to gain fitness regardless of their athletic ability. Soccer contributes to children’s fitness, teamwork and skills development. It’s a fun way for children to get a great workout while building fitness habits early on! Soccer is a non-contact sport that increases aerobic capacity and. Soccer teaches children to cooperate with other children and communicate. Zakaroos helps to increase your child’s self-image and reduce shyness. Dribbling, kicking and shooting the ball develops agility and coordination.